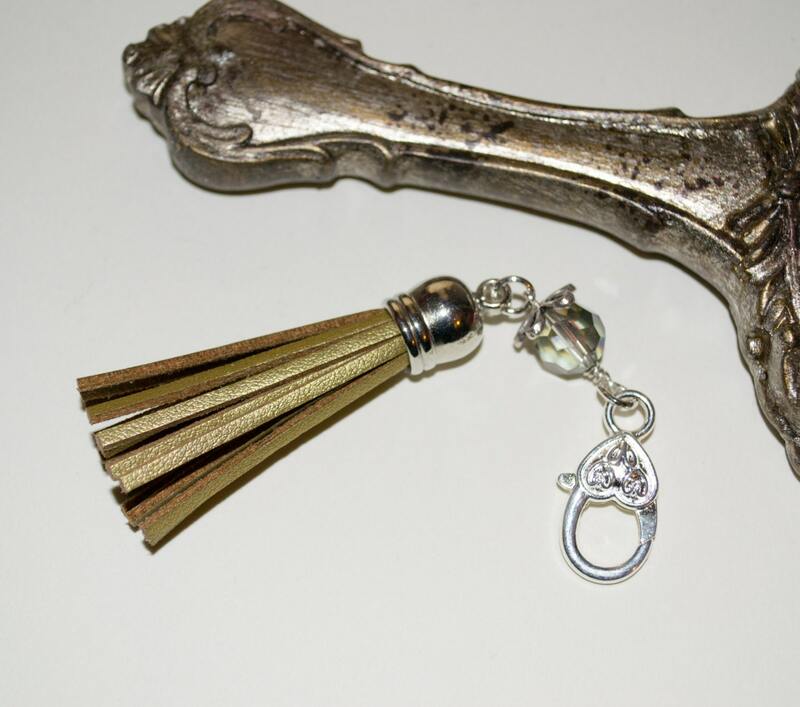 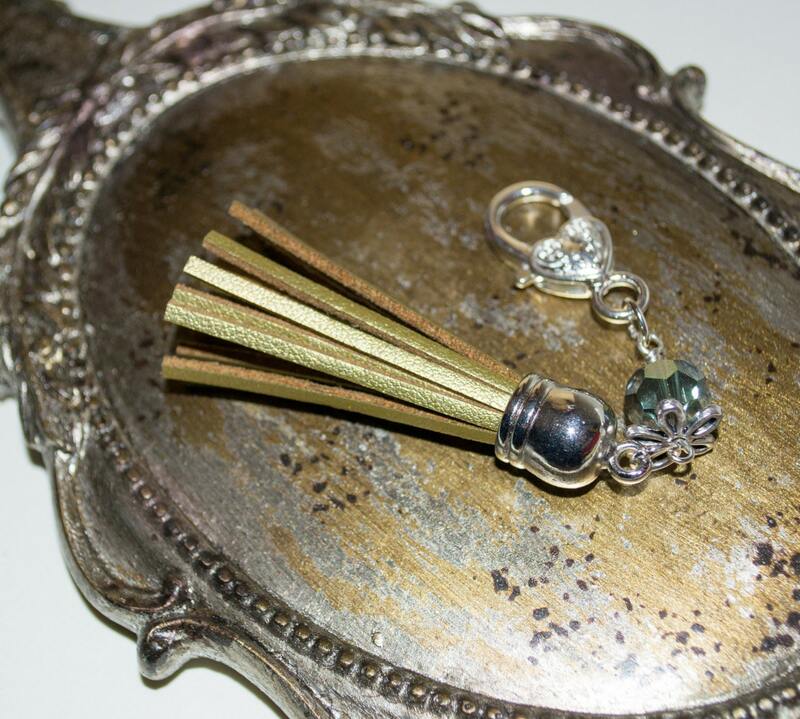 This stylish bag charm or zipper pull consists of a gold coloured faux-leather/suede tassel with a silver coloured end cap, topped with a faceted crystal bead in co-ordinating iridescent shades and a silver plated flower bead cap, all suspended on a silver coloured ornate lobster claw clasp. 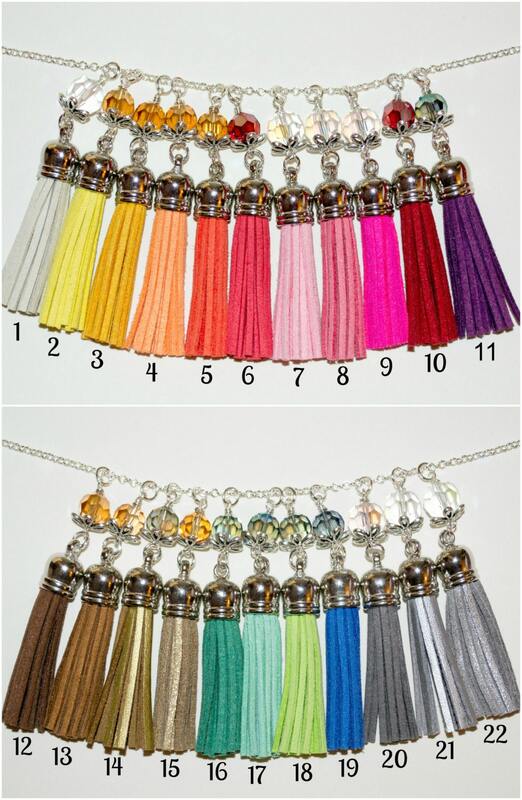 Perfect for handbags, purses or keys - why not try two or three colours for a fab summery boho look? 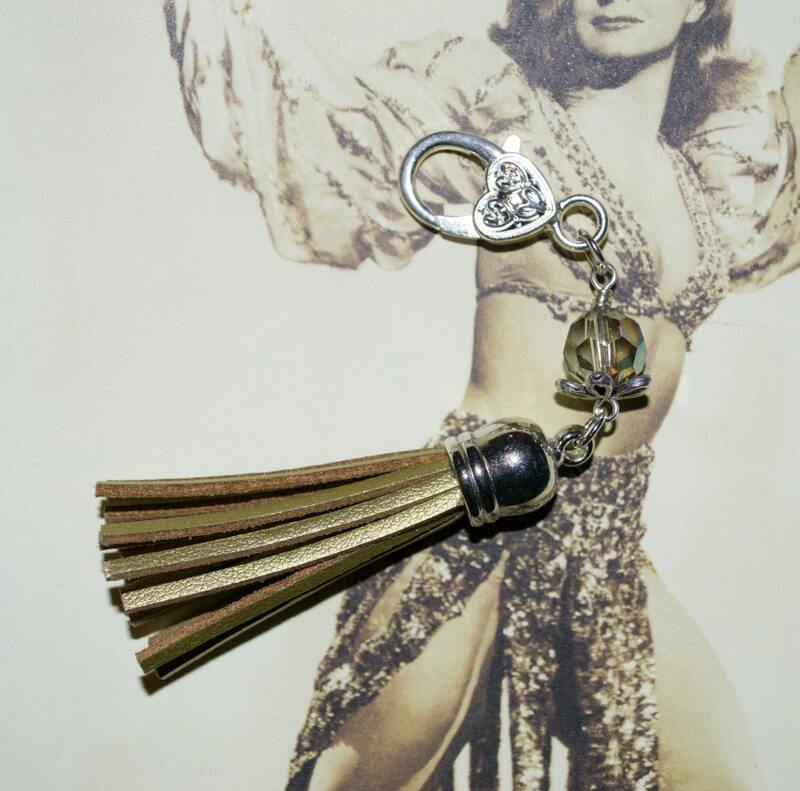 The tassel itself is just over 2"/5cm long and the total drop from the top of the clasp is 4.25"/10.5cm.